In a previous article, I compiled a comprehensive list of must have tools that I use to run my ecommerce store. 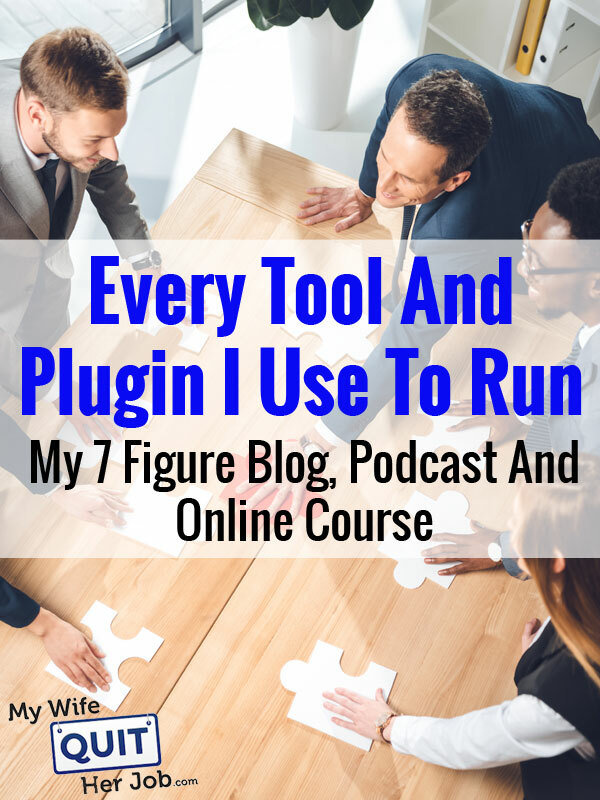 So this week, I put together a list of tools and plugins that I use for my other businesses which include my blog, my podcast and my online course. Similar to the way I run my online store, I adopt a minimalist mindset when it comes to 3rd party applications. After all, every single plugin that you install slows down your site and makes upgrading more complicated. As a result, it’s in your best interests to use fewer plugins and code as much functionality into your theme as you can. In addition, I try to avoid tools that require monthly recurring fees. In fact, most plugins that I use can be purchased in a single lump sum payment. Anyway without further ado, here are the tools, services and plugins that I use for MyWifeQuitHerJob.com. More and more of my colleagues have been migrating over to WP Engine to host their WordPress blogs. If you aren’t familiar with WP Engine, they are a hosting platform that specializes in WordPress and they guarantee uptimes even in the presence of large traffic spikes. Even though most of my friends are on WP Engine, I’m one of the lone holdouts because I think it’s a bit expensive for what you get. Right now, I’m paying $100 a month to host 5 websites that would cost me at least $249/month on WPEngine but it does require a few hours of my time per year to maintain my sites. After all, MyWifeQuitHerJob.com is on track to hit 1.4M in revenues so I can definitely afford it. But because I have the knowledge of how to manage a server, I prefer to save some cash. By going with Storm, I have full control of my server and have the freedom to add custom code if necessary. My site rarely goes down and $100/month comes with fully managed support over at Storm. Ultimately the choice is yours but you can save a ton on hosting costs if you go with a traditional hosting provider. Otherwise if you don’t want to deal with anything technical, WP Engine is an excellent choice for WordPress blog hosting. I’ve mentioned this many times in the past but over 90% of the revenues for MyWifeQuitHerJob.com can be directly attributed to email. As a result, my largest expense for my blog is my email marketing provider. Here’s the thing about email. The blogging world is constantly evolving and my required feature set changes fairly often. Below is a list of articles that I’ve written on the topic in the past 8 years. The All In One SEO Pack allows me to optimize my WordPress blog for the search engines. In the WordPress world, there are two main SEO plugins, All In One SEO and Yoast’s SEO plugin. But to be honest, the only reason I’m using All In One SEO is because I’ve had it installed for over a decade and am reluctant to switch. In general, both SEO plugins for WordPress have similar functionality. The key thing I like about the All In One SEO Pack is that it allows me to change title tags and meta descriptions on all of my posts. In addition, All In One SEO automatically adds OG Markup and suppresses the superfluous pages on my blog from getting indexed in search. But overall, I think either plugin would do the job just fine. Bluberry Powerpress is the plugin that I use to run my podcast. Not only does it automatically create a feed for iTunes but it’s pretty easy to use and comes with a decent audio player. While I’m not using all of the features, you can easily run multiple podcasts off of a single install and create multiple feeds for different publications. Libsyn is the service I use to host the audio files for my podcast. Right now I’m paying about $20 a month which allows me to host up to 6-8 podcast episodes per month. What’s nice about Libsyn is that they charge for storage and NOT bandwidth. As a result, the fees I pay do not increase as my podcast gets more downloads. Originally, I considered using Amazon S3 to host my audio but now that my podcast is reasonably popular, Libsyn is much much cheaper. Once upon a time, I had a huge comment spam problem and this plugin took care of the majority of my issues. In a nutshell, this plugin places a cookie on the users machine. Once upon a time, comment spam used to take down my server on a weekly basis so I spent a lot of time fixing this problem. The WP Super Cache plugin keeps my site zippy by serving a fully cached file to my readers. When it comes to WordPress caching plugins, there are basically 2 options, WP Super Cache and W3 Total Cache. The main reason I chose WP Super Cache over W3 Total Cache is because the code is very lightweight and easy to understand. Once upon a time when comment spam was taking down my server, I used the debugging tools offered by WP Super Cache to figure out what has happening. Here’s the thing about these caching plugins. There are many instances where your blog will NOT serve a cached file and you have to understand the implications. Without going into too much depth, there are bots out there that can force your blog to serve non cached files and if this happens often enough, it can slow your site down. This one is currently on my list to remove. These two plugins offer related and random post suggestions once visitors are done reading the current article. The goal is to keep a reader on my site as long as possible by presenting additional options. I’m actually glad that I’m writing this post today because it has forced me to reevaluate what I have installed. Right now, these 2 plugins are on my “to be removed” list. Why? It’s because both of these plugins are resource intensive. Looking at the source code, the simlilar posts plugin in particular consumes a lot of CPU cycles which slows down my site. Currently, I don’t recommend these plugins unless you have robust caching for your blog. This plugin allows people to follow comment threads on posts via email. Back in the heyday when blog commenting was much more prevalent, this plugin had more of a purpose. But I don’t think that I need this functionality any more. Nonetheless, it’s a very lightweight plugin that doesn’t consume many resources. Plus, it can encourage more engagement on your posts. 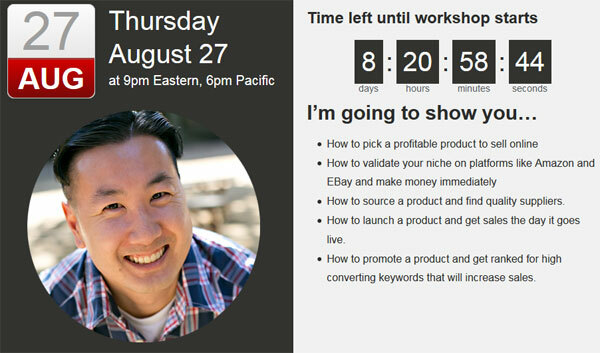 S2 Member is the membership plugin that I use to run my Create A Profitable Online Store course. Why did I choose S2 Member over a dozen other membership plugin options? The main reason is because S2Member is free and extremely lightweight. Back in 2011 when I first started my class, I evaluated 4 different plugins and analyzed the source code. At the time, I had no idea how successful my class would be. As a result, I wanted the simplest and most flexible implementation possible that I could extend if necessary. The 3 other plugins I evaluated were feature rich but slow. S2Member on the other hand was extremely fast and easy to understand. In addition, there was an option to pay money for additional functionality as needed. Today, there are a multitude of options on the market for online courses and here are my thoughts. First off, almost every solution out there will do what you need for a basic membership site. But in general, my philosophy is to always own the source code. Most of you probably don’t want to deal with managing your own site but in the long run, it will save you lots of money and give you unlimited flexibility with features that you may want to add. Looking back, if I went with a fully hosted course platform from the start, I would have paid over 20K in fees over the years. In addition, my course would be held hostage on a platform that I would not own. While my way of thinking may not be the right fit for you, you should consider the long term implications of your platform especially when it comes to how your content is stored. Stripe is the payment processor that I use for my membership site to manage my payment plans. I evaluated several solutions and Stripe was the easiest to implement. Not only does Stripe carry zero monthly fees but they have a robust API where you can easily manage multiple payments and clients with just a tiny bit of code. Another solution I considered was Paypal but the implementation was significantly more complicated. One of the main reasons why I decided against Paypal for payment plans is because Paypal gives users the option to cancel a subscription without you knowing. But with Stripe, a customer can not prevent their card from being charged. In order for a customer to stop their payments, they have to either cancel their card or contact you directly. Overall, this one aspect of Stripe makes installment plans much more manageable compared to Paypal. I’m often asked what software I use for webinars and I like to keep things simple. Even though my webinars generate between $30-70K a pop, I don’t feel the need to use specialized software to run a basic live workshop. Right now, I’m using a combination of YouTube Live to run the live video and ChatWing to manage the live chat. 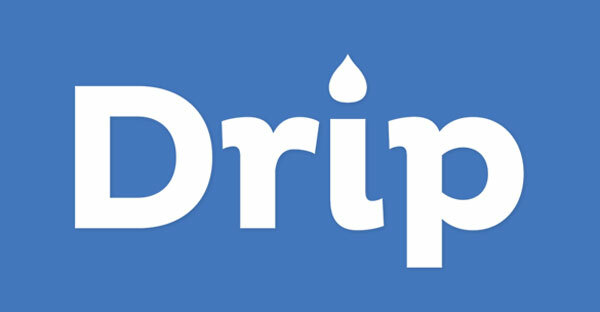 For all of the pre and post webinar email sequences, I simply use Drip autoresponders. In my opinion, you don’t need to pay money to a 3rd party service for a basic no frills webinar. However if you ever decide to run automated webinars, then it makes sense to fork over the cash. The other instance when a paid service makes sense is to gather statistics. Most webinar software will tell you how long people are watching before they drop off along with conversion metrics for your audience. As you can probably tell from my tech stack, I run a pretty lean ship over here at MyWifeQuitHerJob.com. In terms of tools and plugins, my largest expense is my email provider. But outside of webhosting and podcast hosting, I don’t have any recurring costs. In fact, I run my blog with over 90% margins. In addition to the tools and plugins listed above, I have one assistant who edits my podcasts but that’s about it. Going forward, I’m in the process of adding a virtual assistant to my staff but I don’t feel the need to expand any further at the present time. What are you going to replace the random/similar post plug-in with? Will you code it manually? Just curious as I am looking into options for this at the moment. Thanks for sharing these awesome tools. Looks like I am using some of them, some I don’t need, and some I use competitors. Just curious though, have you ever thought about using some advanced financial tracking for the money that comes through Stripe (like Baremetrics, ChartMogul) or just don’t find that useful and Stripe data is enough? Also, do you use any type of tools for monitoring website downtime and other website errors, or do you just rely on your web hosting company to take care of that?